The industry of stock photography has rapidly increased over the past decade. 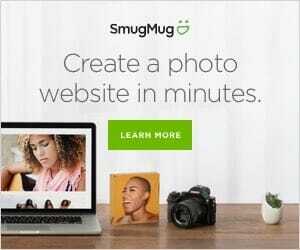 With photographers contributing their work from all over the world, in categories ranging from portrait to travel to commercial imagery, there has never been a more accessible way to download high-quality photographs. As the community continues to grow and expand, new stock imagery websites are emerging. The latest, PxBee by Fotor Photography, marks itself as the place to “find the perfect photo for your creativity.” In this article, we want to give a comprehensive review of the website’s features, image categories, and offerings for contributors. After browsing through the content available on PxBee, it is apparent that the quality of the images is in the mid-level to high range in comparison to other stock photography websites. The photography is suitable for stock usage and with its varying categories, can be used effectively across different marketing platforms as well as for commercial usage. Since it is a site still in its infancy, the diversity of the images could increase especially in the categories that involve people such as portraits and family life. While examining the various categories, we can determine that the overall quality and display of the images would be appealing to potential buyers. It should be noted that other components of the images could use some improvement to stay bar with other stock imagery websites. Aspects such as editing and composition still need maturation and improvement. It would benefit the site to focus on clean editing without harsh filters or too much color grading as well as a composition that allows the image to be used in various manners. For example, many companies purchase stock photography in order to overlay text for marketing. Including more images that allow for negative space and advertising copy would appeal to buyers in multiple markets. Overall, the quality of the content available on PxBee is off to a great start for a growing stock imagery website. They have a clear vision of categories and types of images they hope to offer their consumers. It is apparent that as the company grows in popularity, the number of images will increase as well as the diversification of subject matter. The best categories that PxBee currently offers are in their wanderlust, color and nature categories. These topics are the strongest on the website due to their diversity and applicability to appeal to a wide audience. PxBee offers two options for pricing its images: royalty-free licensing and subscription licensing. For the subscription license, users can choose between an annual or monthly option. Monthly subscriptions start at $0.34 per image and you can choose to download 25, 75 or 350 images per month. Overall, the pricing of PxBee is very reasonable for both one-time purchases as well as the subscription options. In order to provide a comparison to other stock websites, let’s look at the price breakdown for a well-known stock website, Shutterstock. Shutterstock offers prepaid image packs or annual subscription options. For their prepaid image packs, you can download 5 images for $49 and 25 images for $180 – once you purchase the package, you are able to download the images at your own pace as long as it is within the year. When examining the varying price points, it is evident that for a small number of images PxBee is less expensive – an annual subscription of 50 images would cost $13.50 on PxBee compared to the $99 price tag of Shutterstock. Yet, as the number of images increases, the prices seem to align – where 750 images on PxBee would cost $202 versus Shutterstock’s $160. If you’re looking to download only a small number of images, PxBee is definitely the more affordable option. As a contributor, PxBee regards itself as a professional platform for photo licensing with high standards that include: AI-based tagging, search, licensing management, marketing, revenue sharing, design inspiration and connecting to real demand within the creative industry. Creative with a different perspective. Related Post: How Much Can You Make with Stock Photos? Overall, the licensing fee offered to contributors is 50% of the revenue after taxes and fees each time a photo is sold. In order to receive payment, the photographer will need to possess a Paypal account for the transaction to occur from PxBee. As you can see, PxBee is a growing stock photography website with great potential. With various categories of images as well as 50% revenue scheme to contributors, it is an appealing platform for photographers who want to showcase their stock imagery. Have you had any experience using PxBee to sell your images? Let us know in the comments below.